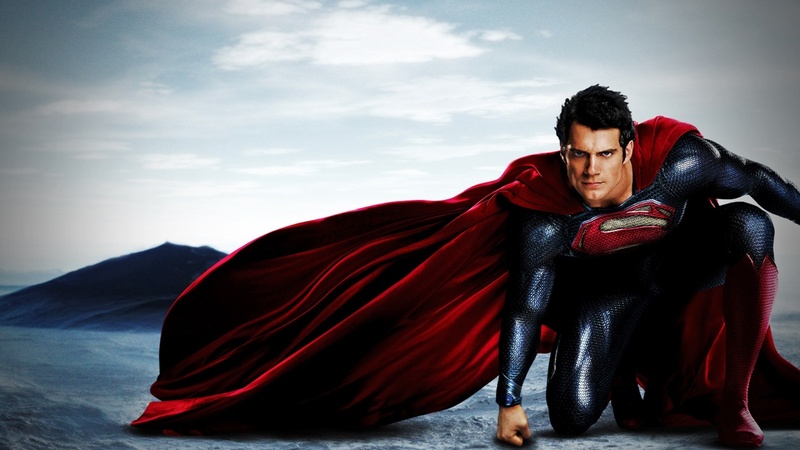 JUST in case you haven’t figured it out yet, Zach Snyder’s Superman reboot, Man of Steel is kinda a big thing. The studio is sparing no expense which is highly evident if you drive around Hollywood and witness the plethora of billboards and even buildings adorned with advertisements for what should be, one of the summer’ biggest movies. 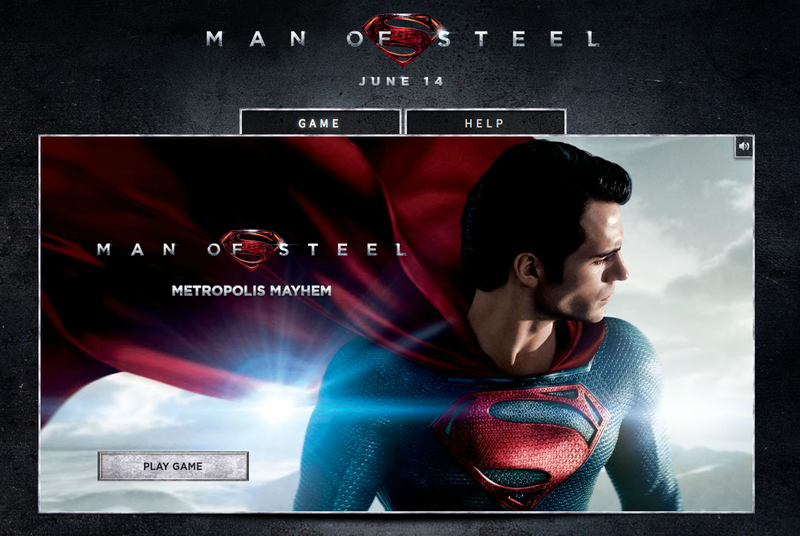 Next up is a free video game, Man of Steel – Metropolis Mayhem, where you can fly through Metropolis as Krypton’s favorite son. By using your heat vision you can destroy objects and collect Superman symbols to increase your score and be the envy of all your friends. Personally I thoroughly enjoyed flying through buildings and water towers as I decimated things with my heat vision. Last but not least is the IMAX Sweepstakes. 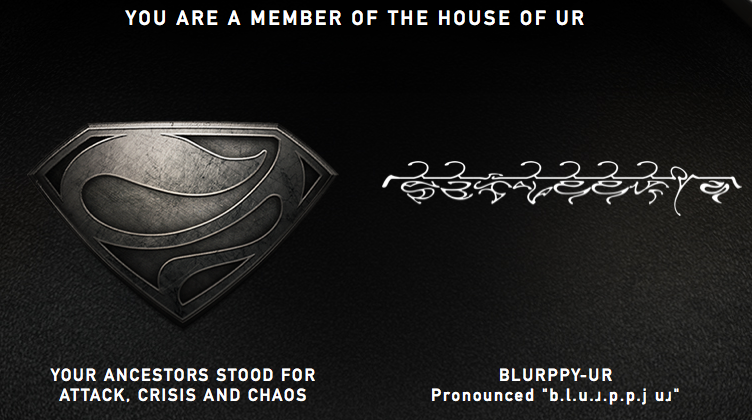 Here is all the official verbage mumbo-jumbo from IMAX. Enter the Man of Steel sweepstakes for a chance to win an exclusive Man of Steel Superman Vault Statue from DC Collectibles, a Superman: Last Son of Krypton graphic novel from DC Comics, a Superman™: Battle of Smallville play set from LEGO®, a Man of Steel: Inside the Legendary World of Superman book from Insight Editions, a Man of Steel Hero Buddies plush and Movie Masters Superman Action Figure from Mattel, a Man of Steel 9FIFTY® Basic Logo snapback cap from New Era®, a Man of Steel: Original Motion Picture Soundtrack from WaterTower Music, a Man of Steel IMAX stainless steel water bottle and poster, and IMAX tickets*! *Hollywood Movie Money® Certificates valid at participating IMAX theaters. One Grand Prize Winner will receive one (1) Man of Steel Superman exclusive vault statue from DC Collectibles (ARV $79.95), one (1) Superman: Last Son of Krypton graphic novel from DC Comics (ARV $19.99), one (1) Superman: Battle of Smallville from LEGO (ARV $49.99), one (1) Man of Steel Hero Buddies plush from Mattel (ARV $29.99), one (1) Man of Steel Movie Masters Superman action figure from Mattel (ARV $15.99), one (1) Man of Steel 9FIFTY® Basic Logo snapback cap from New Era® (ARV $24.99), one (1) Man of Steel: Inside the Legendary World of Superman book from Insight Edition (ARV $45), one (1) Man of Steel: Original Motion Picture Soundtrack from WaterTower Music (ARV $17.99), one (1) Man of Steel IMAX stainless steel water bottle (ARV $5), one (1) Man of Steel IMAX poster (ARV $10) and four (4) Hollywood Movie Money® Certificates (ARV $84). Five (5) First Prize winners will receive one (1) Superman: Last Son of Krypton graphic novel from DC Comics (ARV $19.99), one (1) Superman: Metropolis Showdown from LEGO (ARV $12.99), one (1) Man of Steel Movie Masters Superman action figure from Mattel (ARV $15.99), one (1) Man of Steel 9FIFTY® Basic Logo snapback cap from New Era® (ARV $24.99), one (1) Man of Steel: Original Motion Picture Soundtrack from WaterTower Music (ARV $17.99), one (1) Man of Steel IMAX stainless steel water bottle (ARV $5), one (1) Man of Steel IMAX poster (ARV $10) and two (2) Hollywood Movie Money® Certificates (ARV $42). At this point I will do, play, enter ANYTHING to tie me over till this one hits theaters on June 14th. 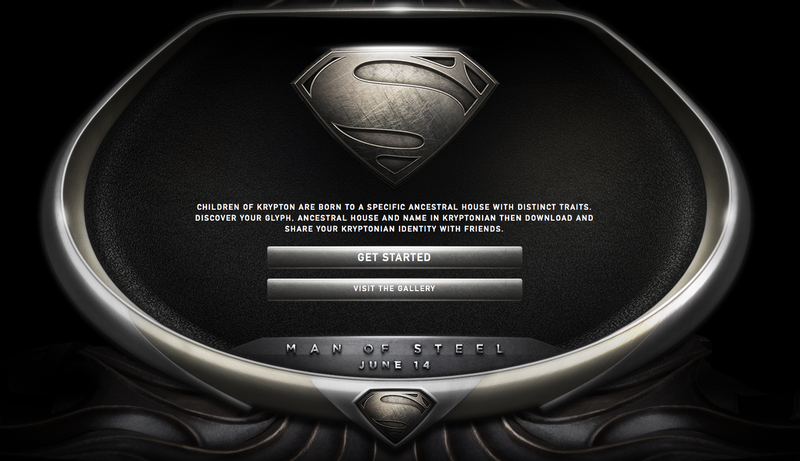 This entry was posted in Contest, DC, Movies, Super Heros and tagged IMAX, Kryptonian Glyphs, Man of Steel, Video Game. Bookmark the permalink. Did you make your glyph? How did it come out? What did it say?